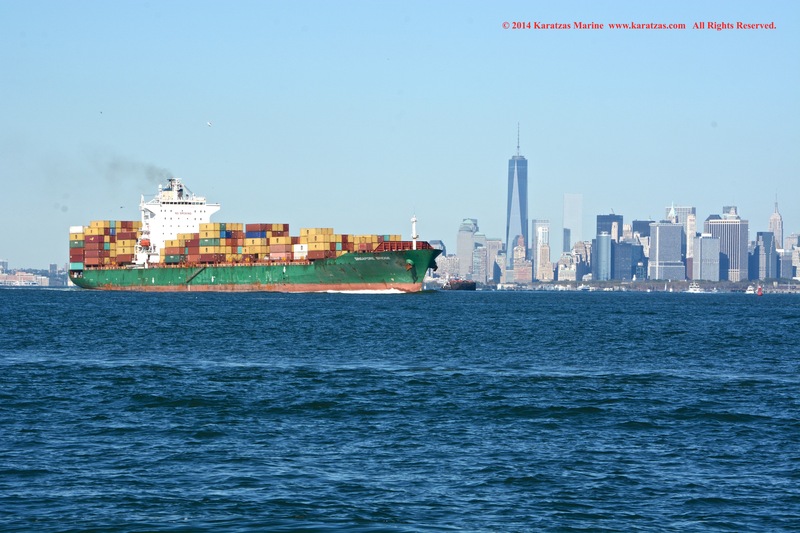 Posted on October 25, 2014 by Karatzas Marine Advisors & Co. 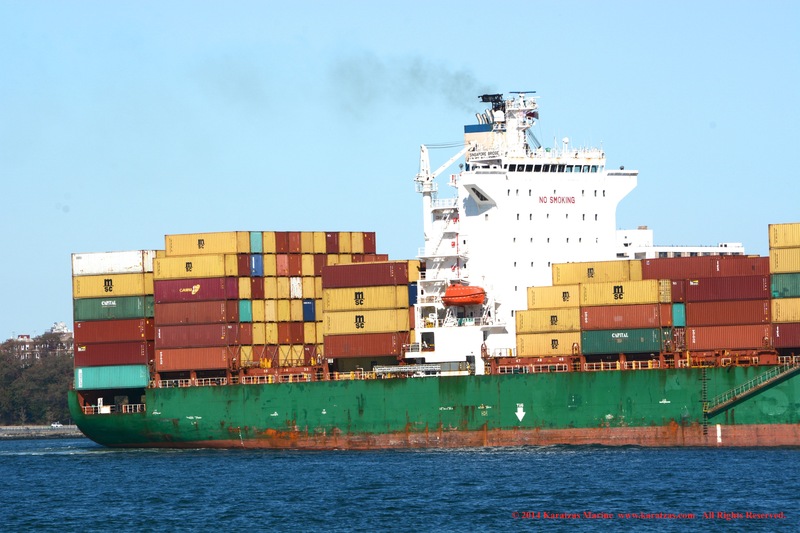 OWNER / MANAGER DETAILS: KG Allgemeine Leasing Gmbh & Co (KGAL); company details: http://www.kgal.de. 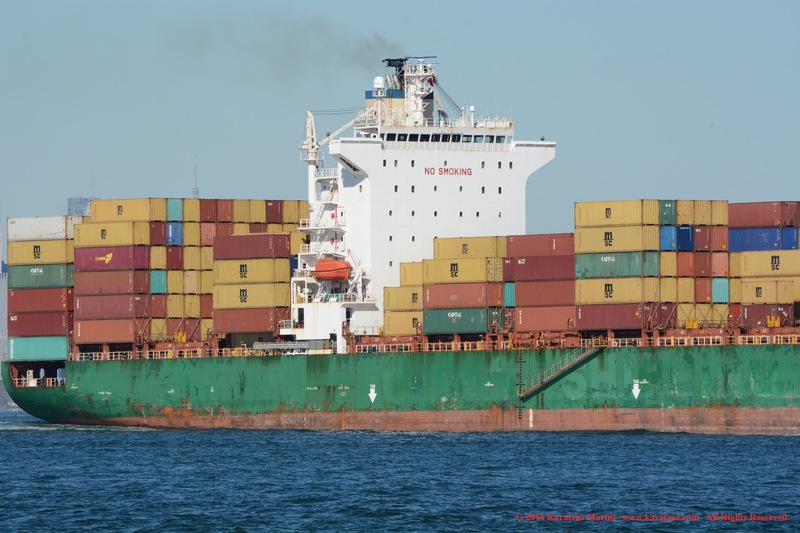 SPECIALIZED DETAILS: Teu Capacities of 4,253 Total, 2,805 Homogeneous and 800 Reefer, 7 Holds, 14 Hatches, Dwt to Teu ratio of 11.98, Maximum Teu of 1,584 in the Holds. 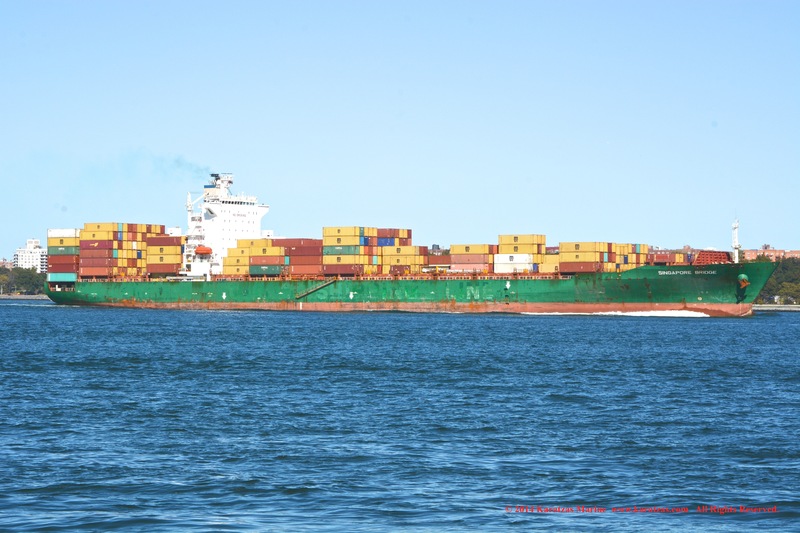 Total Teu Capacity of 4,253, 7 Holds, 14 Hatches. 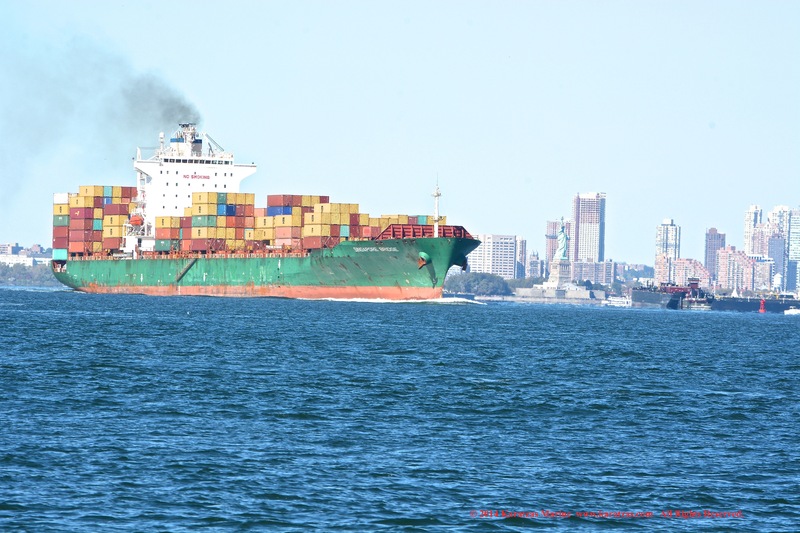 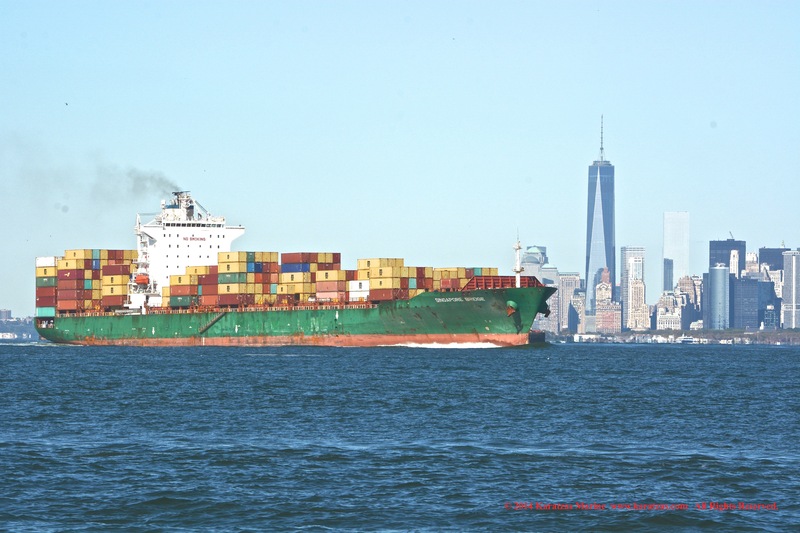 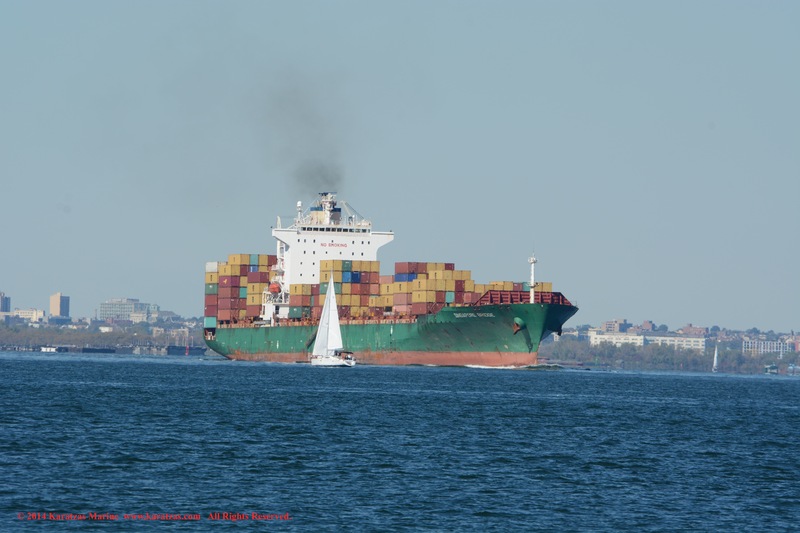 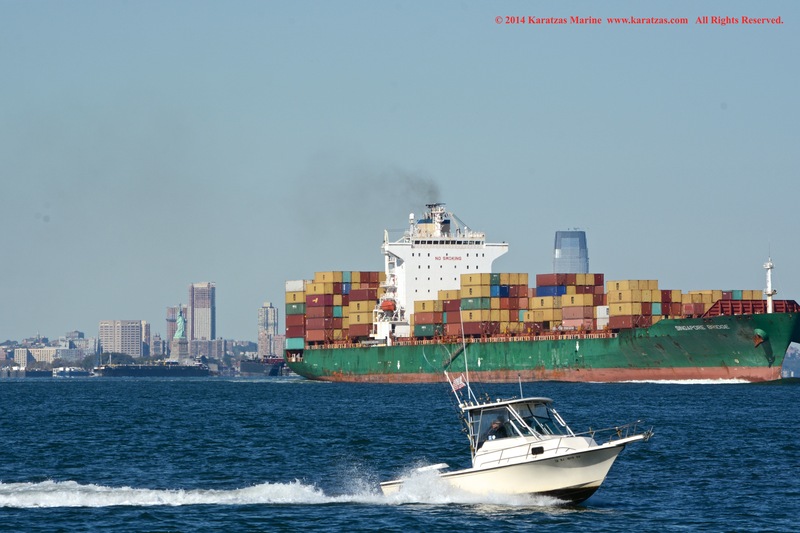 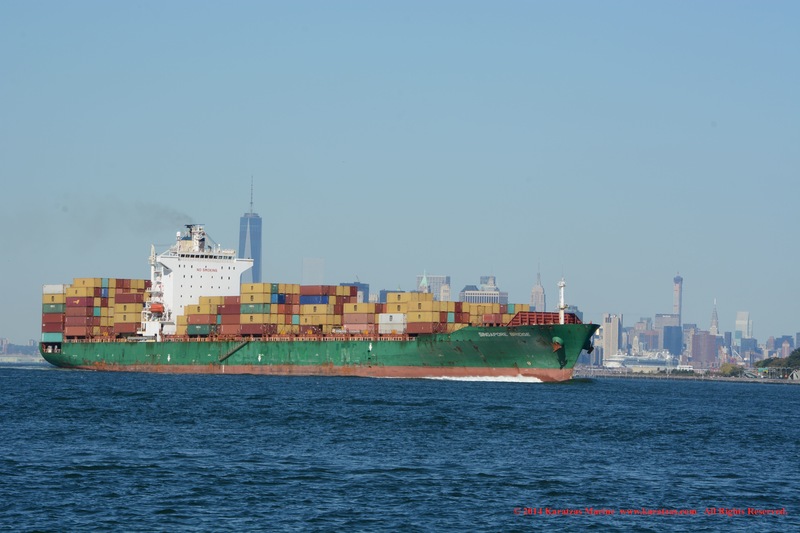 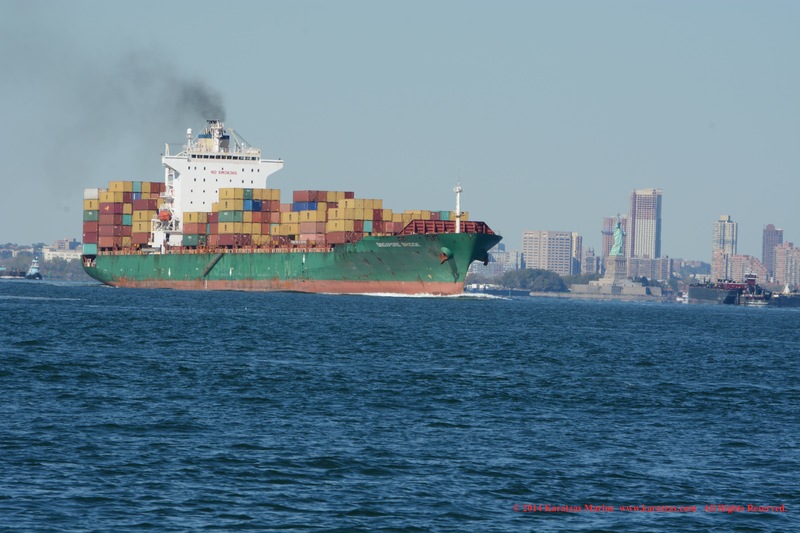 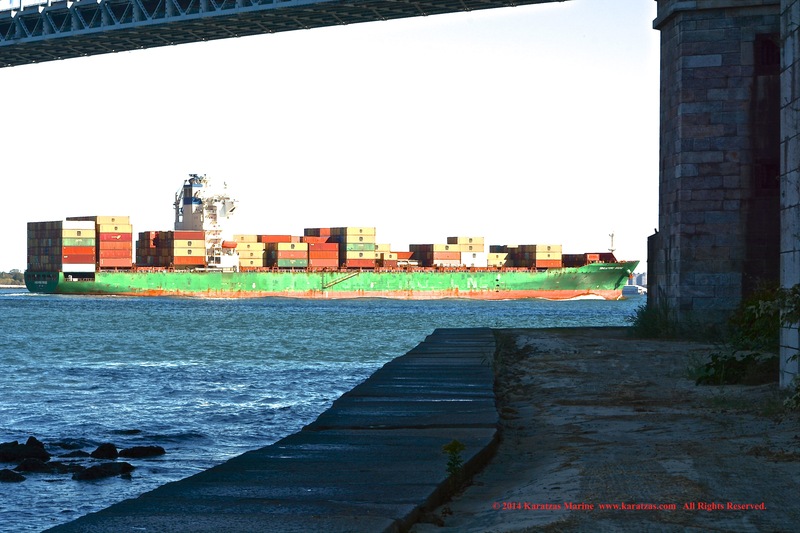 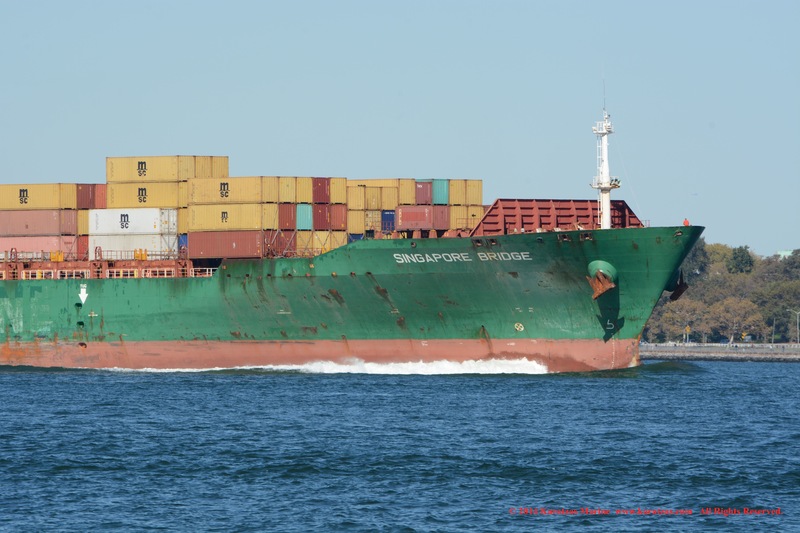 This entry was posted in Containership, Port of New York and tagged Basil Karatzas, Karatzas Marine, Karatzas Marine Advisors & Co., KG Allgemeine Leasing Gmbh & Co (KGAL), New York Harbor, Statue of Liberty, Sub-panamax Containership, Verrazano-Narrows Bridge by Karatzas Marine Advisors & Co.. Bookmark the permalink.